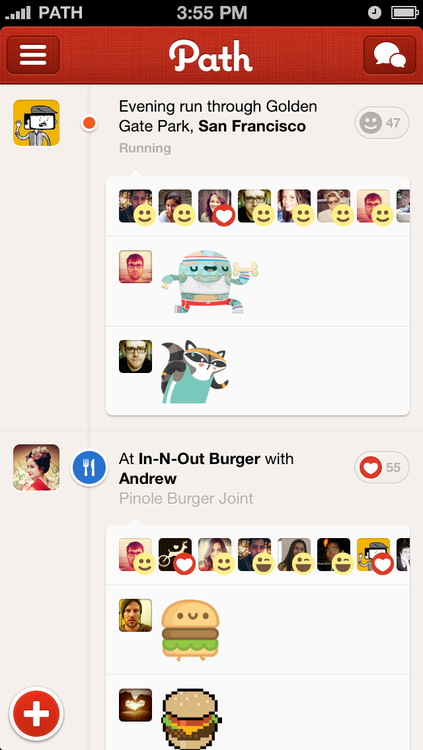 If you said Path had started this whole stickers craze with its March update, you wouldn’t be lying. It’s been a while since Path has seen any significant update, but the team saw to that with today’s version 3.1 update. Two takeaways: Path 3.1 takes stickers to comments while refreshing the iPad edition with improved navigation in both landscape and portrait views. On the stickers front, you can now add color and depth you bought a new stickers pack or used an old one. “We are excited to bring you stickers in comments, a new way to express yourself,” the team wrote in a blog post. Here, check out stickers in comments in Path for iPhone. And this is the iPad interface. See the little round icon on the right? That’s where your conversations go, Facebook Chat Heads style. They even rethought the friending process by generating a QR code that a friend can scan to quickly add you to his or her Path. “And a refined friends list makes it faster to find and message your friends and family so you can quickly be in touch,” Path wrote. These enhancement made it into Path for Android, too. That’s all, folks, in this Path update. I rarely use Path because I don’t have enough time to manage yet another social network in my life. That’s not saying Path is useless. 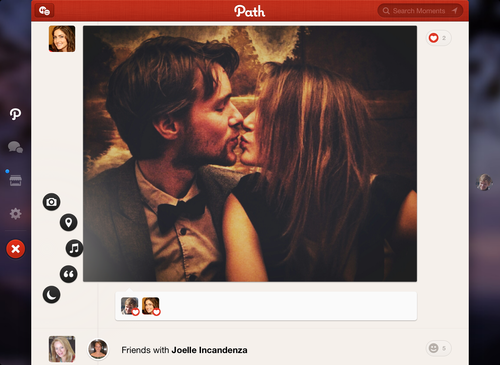 Quite the contrary – if you want to maintain a private social network for only the closest friends, Path may be the best choice out there (if you can cope with the ongoing privacy scare, that is). 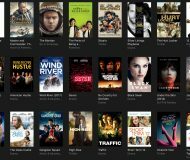 Grab a free copy for your device on Apple’s App Store or Google’s Play store for Android and check out why all the fuss. 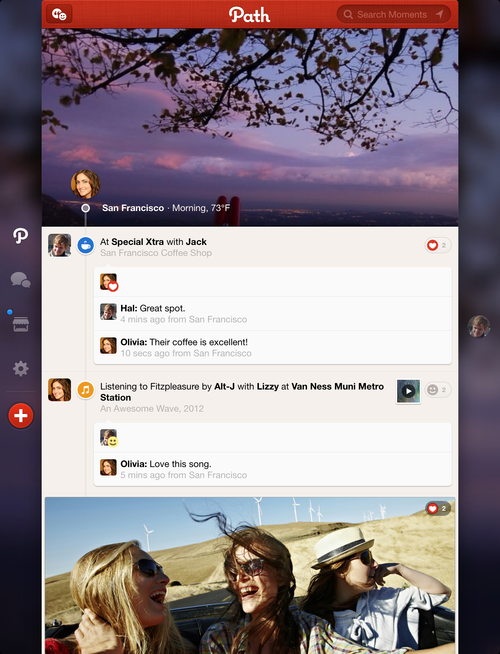 Five months later, Path gets its iOS 7 refresh. The question is, do you still care?